GO! Southampton is the Business Improvement District (BID) for Southampton City Centre. 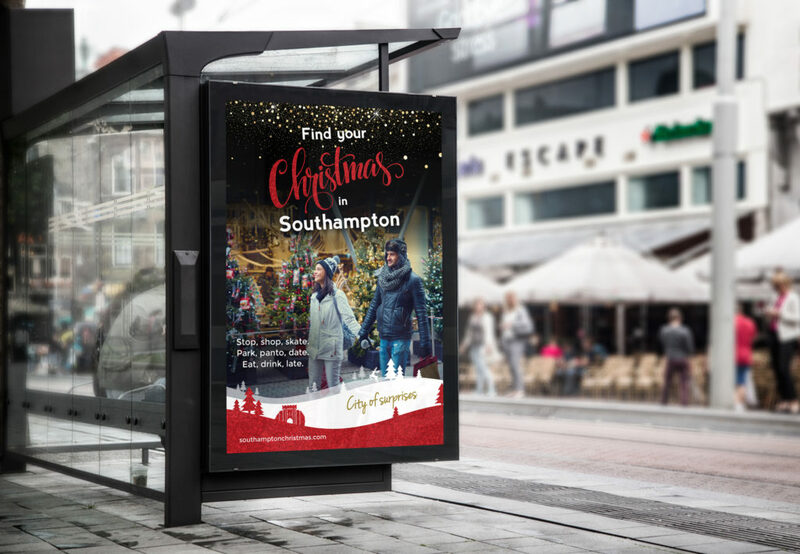 The team initially approached Glow to design a series of media adverts to help increase footfall across the city during the 2017 Christmas period. 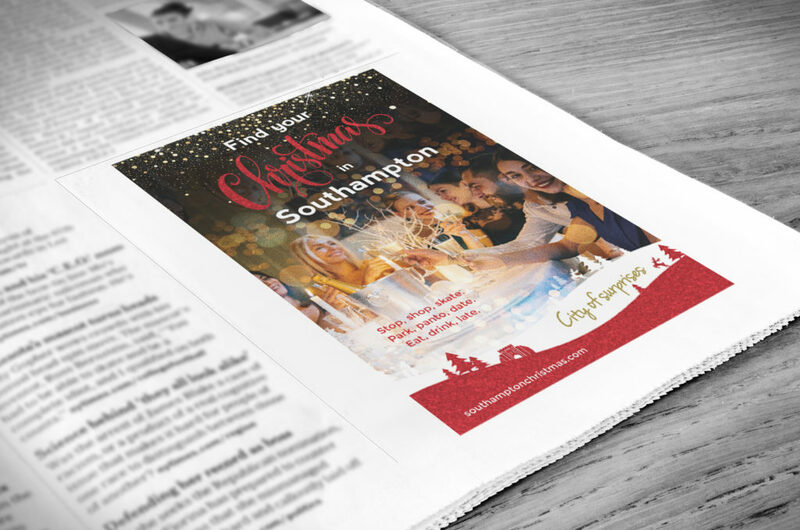 Southampton has so much to offer and we wanted to communicate this, along with the magic of Christmas, the sparkle, love and warmth, all in one space! 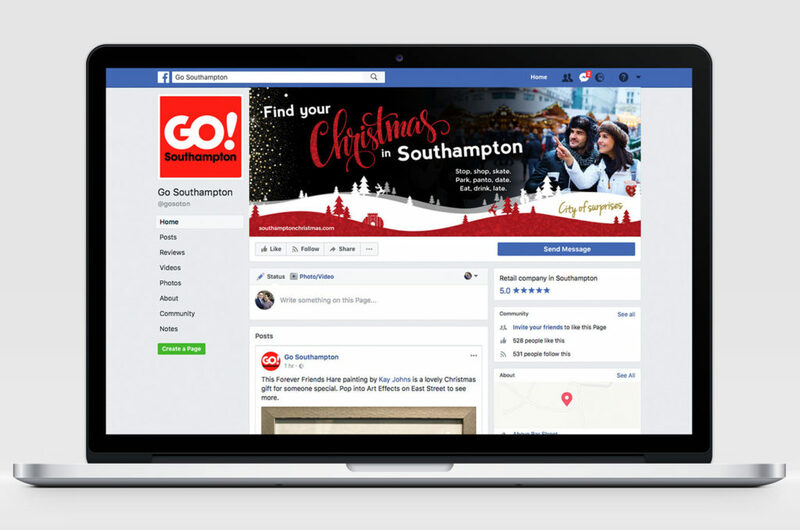 The result was a suite of fabulous press adverts, Facebook & Google adverts, large outdoor posters, web banners and window competitions. More recently, we’ve created Go! 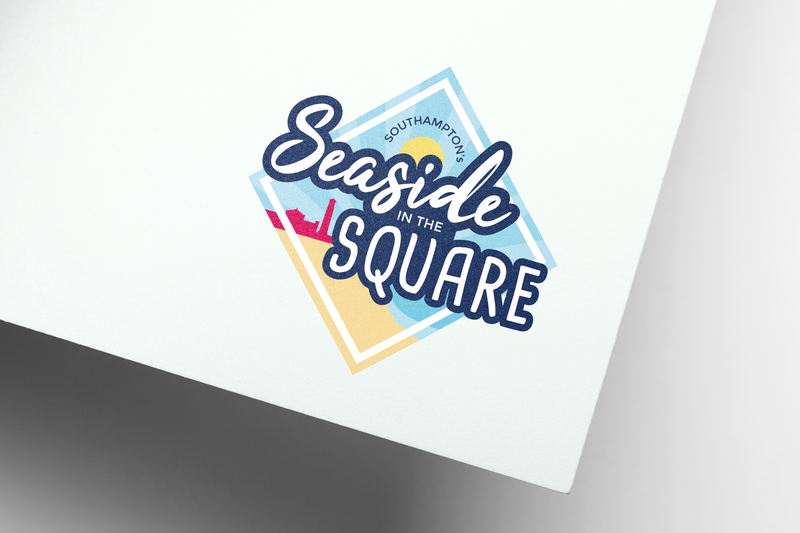 Southampton’s ‘Seaside in the Square’ logo for the 480m2 beach that’s being installed in Southampton’s Guildhall Square this summer. 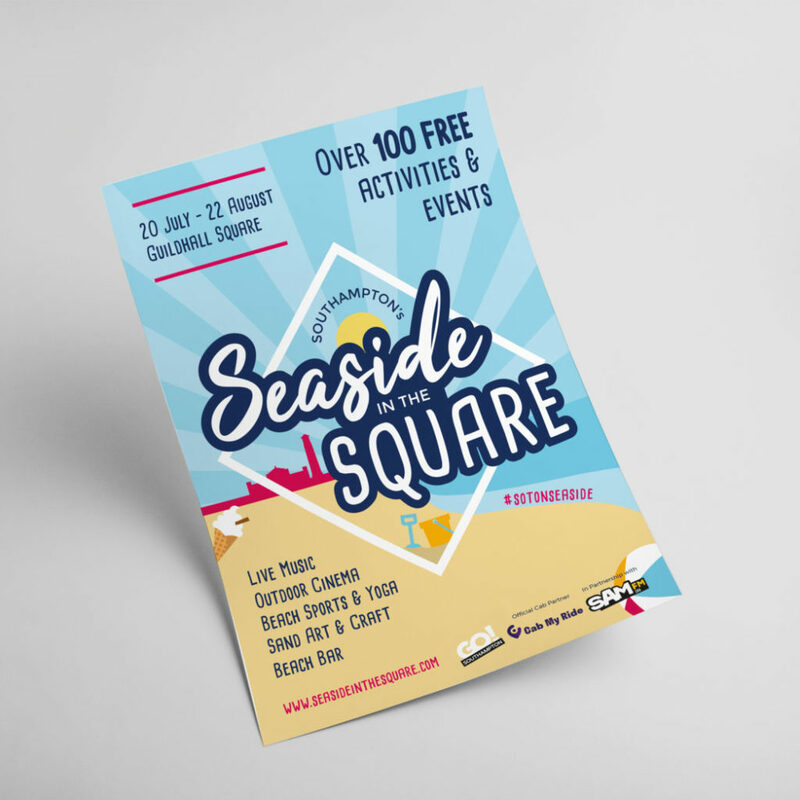 It’s a bright and summery logo that really evokes that holiday vibe. The Glow designers selected a mixture of decorative fonts and vector-based imagery. 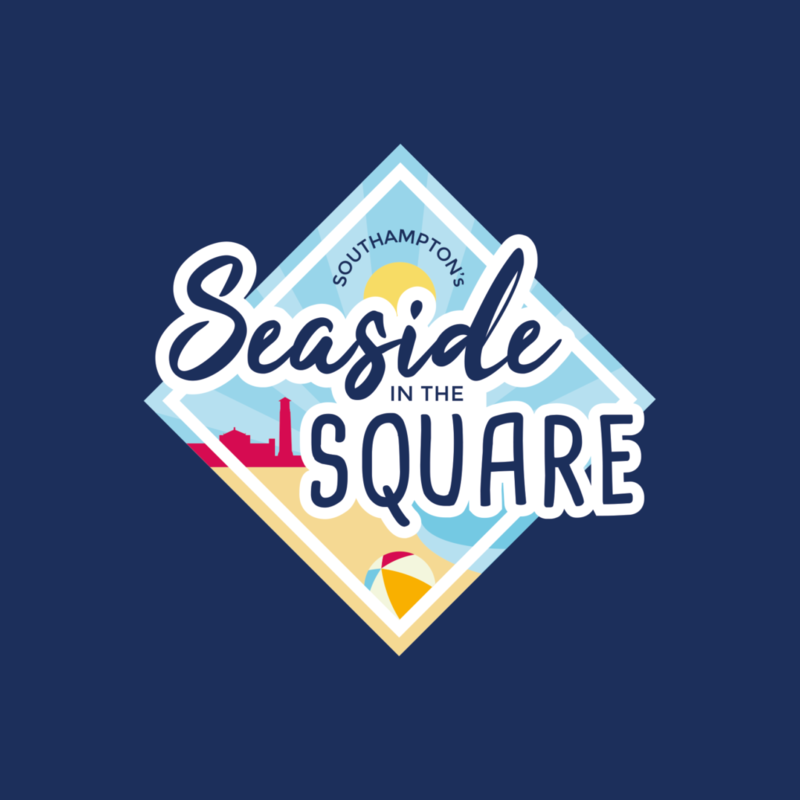 The diamond shape mimics the shape of the Guildhall Square, with imagery of the surrounding buildings and a beach helping to set the scene of the event.